If anyone who knows Jerry Seinfeld has noticed that he’s been a little light on the witty observations lately, it’s probably because he’s been saving them up for a big residency at New York’s Beacon Theatre. 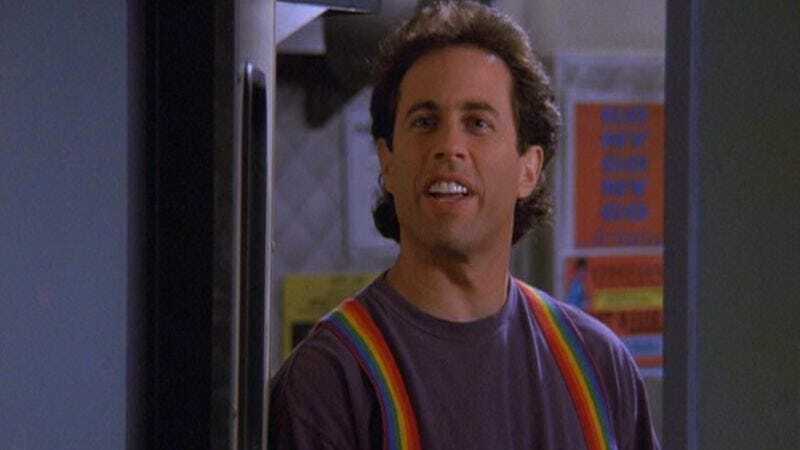 That comes from Splitsider, which reports that Seinfeld will be taking the stage “at least once a month” for an entire year at the theater, meaning he’ll have to drop a whole bunch of relatable musings about what the deal with everyday life is. Who knows, maybe by the end of it he’ll start getting desperate, and he’ll wonder what the deal is with yearlong residencies at the Beacon Theatre in New York. Then Kenny Bania will take the stage after him and kill with a great bit that the audience doesn’t really have to think about, and then he’ll get a yearlong residency at the Beacon. Tickets for the first few months of Seinfeld’s run (which begins in January) are available on the Beacon’s website.